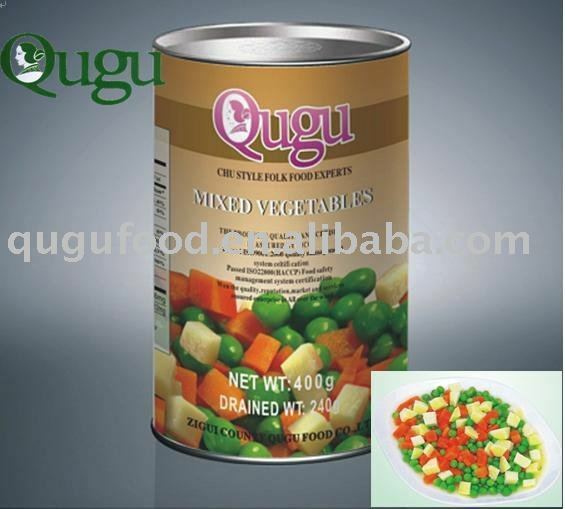 CANNED MIXED VEGETABLES, from 2 way to 9 way of mixtures, contains 2 or more of green peas / carrots / potato / sweet corn / kidney beans / green beans / bean sprouts / water chestnut / bamboo etc., vegetables, net wt at 400g/425g/2840g in steel tins and net wt at 340ml/580ml/720ml in glass jar, etc. CANNED CUCUMBERS, gherkins in vinegar / marinated, whole/wave sliced, net wt at 680g (720ml) in glass jar, length 30-60mm / 60-90mm / 90-120mm, etc. 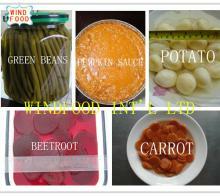 CANNED ARTICHOKES, whole / quarter, in brine / marinated, net wt at 314ml/720ml in glass jar and net wt at 184G/280g/400g/2500g/3000g etc. In steel tins. 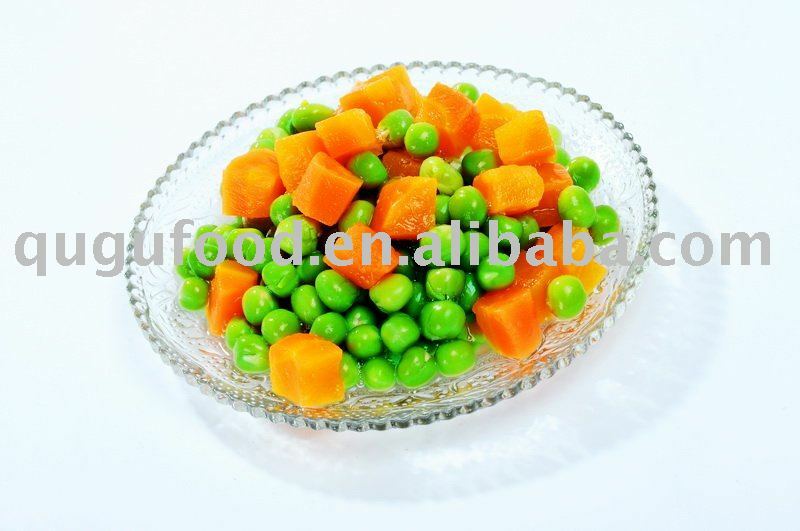 CANNED ASPARAGUS in brine, White Asparagus / green asparagus, whole spears / tip&cuts / all cuts, net wt at 212ml/314ml/370ml/580ml/720ml etc. 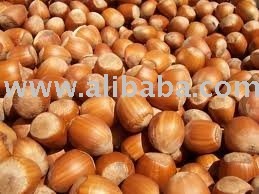 In glass jar, net wt at 250g/430g/800g/2500g/3000g in steel tins, etc. CANNED GREEN BEANS, French / Chinese green beans, net wt at 400g/425g/2840g etc. 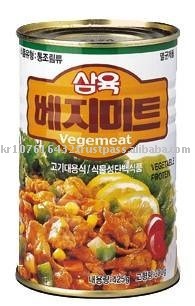 In steel tins, and net wt at 370ml/580ml etc. In glass jars. 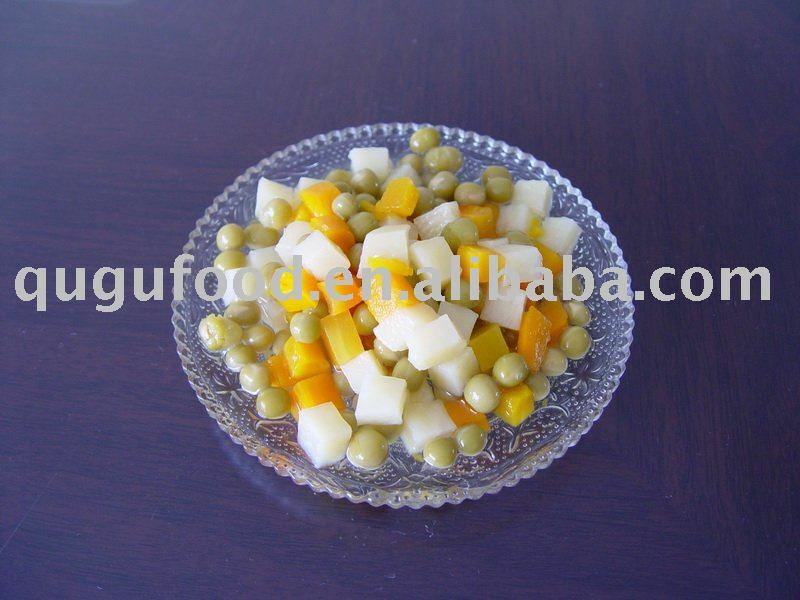 CANNED BAMBOO SHOOTS in water, sliced/diced/strips, net wt at 227g/567g/2950g/18kg in steel tins, etc. CANNED TOMATO PASTE, tomato paste, tomato catsup, tomato puree, brix from 18-20% to 28-30%, net wt at 70g/198g/210g/400g/425g/800g/850g/2840g/3000g etc. 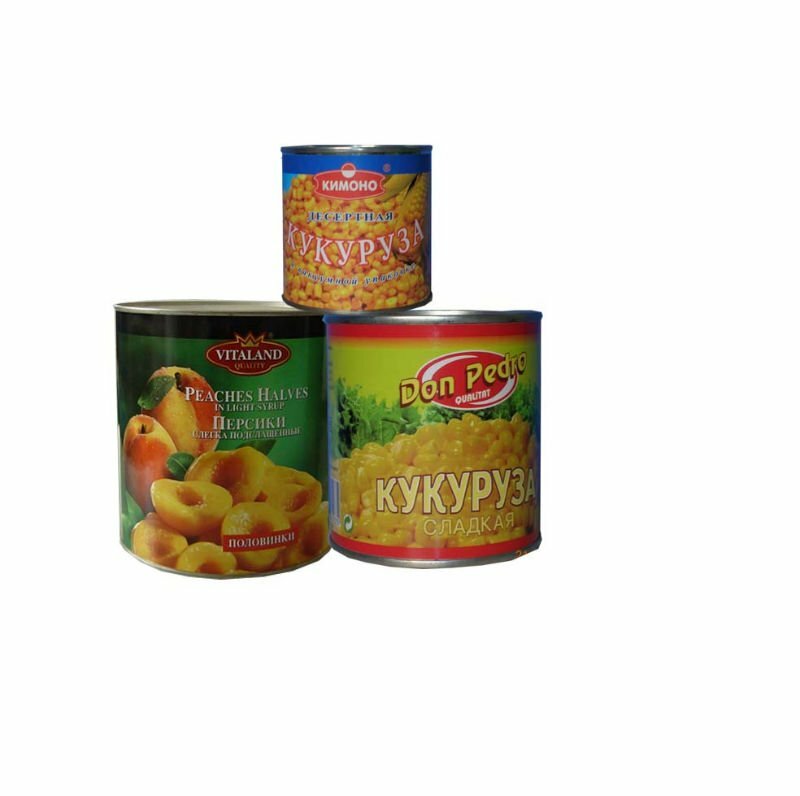 In steel tins, with/without Easy-Open lid, labelled can or printed can.